It is my joy to share about encouraging developments in several Lausanne regions. As the Lausanne Movement seeks to fulfill its mission of ‘connecting influencers and ideas for global mission’, it is structured in 12 global regions, each encompassing a huge area of geography with tremendous diversity and complexity. 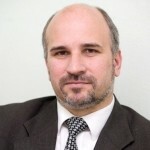 Pastor Pavel Kolesnikov is the Lausanne Regional Director for Eurasia. Born in Kazakhstan, he grew up in Kyrgyzstan and is currently senior pastor of the Zelenograd Baptist Church in Moscow. Pavel was involved in the start of a new church in Moscow in 1989. In 2010 he was called to lead the All-Russia Commonwealth Evangelical Christian organization, where he held the role of chairman. In 2014 he graduated from Theological Institute (TCMI) in Vienna, Austria with his MA. Since 2015 Pavel has served as the co-chairman of the Advisory Council of heads of the Protestant churches in Russia. He is Vice-president of the Evangelical Union in Russia and is actively engaged in ministries that focus on mission and youth evangelism. Pastor Pavel coordinates the work of Lausanne among 12 countries of the former Soviet Union. Anatole Glukhovskyy was the previous Regional Director for Eurasia. Michael el Daba is a civil engineer who uses his engineering background and management training in his current role as a Christian mission leader and Community Development Manager. He was appointed Lausanne Regional Director for the Middle East and North Africa (MENA) and coordinates the ministry of Lausanne in 20 countries in the region. Born and raised in Egypt, he was educated and trained at Zagazig University in construction engineering. Since 2012 he has been working with the largest development agency in Egypt, the Coptic Evangelical Organization for Social Services (CEOSS), and is currently the Funding and International Relations and Media Manager. CEOSS is a faith-based NGO serving some two million Egyptians in over 100 poor communities in areas of economic, agricultural and environmental development, health care, education, and peace-building. Andrea Zaki Stephanous was the previous Regional Director for MENA. Daniel Bianchi has been appointed Regional Director for Latin America, coordinating the work of Lausanne in 20 countries in Latin America.He came to know Christ in the late 1970s in Buenos Aires, and later joined Operation Mobilization and served on board the ship Doulos in Spain, Germany, and Austria. In 1988 he was appointed OM’s Director for Argentina with responsibilities over the Southern Cone. An ordained pastor of the Baptist Convention of Argentina, he pastored the Ranelagh and Olivos Baptist Churches in Argentina. Having a heart for missions, he became Mission Director for the Baptist Convention of Argentina in 1996 and later founded the International Mission Agency of which he served as Director for over ten years. One of Daniel’s passions is a concern for the suffering church. In 2014 he founded an organization called “Conexión Oriental” (Eastern Connection) which focusses on connecting churches from Latin America with churches and leaders in the Middle East and Far East, particularly to express love and concern for persecuted Christians. Daniel received his DMin from the Facultade Teologica Sul Americana from Londrina, Brazil. Marcos Amado was the previous Regional Director for Latin America. Please join me in praying for each of these newly appointed Regional Directors, as well as the entire team of RDs. Let us also thank God for the faithful service of the former regional leaders. There are lots of activities in each region, with some regions hosting regional or global consultations involving major issues affecting global mission. Each region has a focus on the Younger Leaders Generation (YLGen). Each region seeks to mobilize local churches towards engagement in global mission. There are opportunities for anyone who wishes to respond to Jesus’s commission to make disciples of all nations. Las Newman is the Global Associate Director for Regions, responsible for coordinating the 12 Lausanne Regional Directors. He previously served as Lausanne Regional Director for the Caribbean. Las also organized and hosted the first Lausanne Global Consultation on Creation Care and the Gospel in Jamaica in 2012.